"Coral" redirects here. For more uses see Coral (disambiguation). The Coral Mouse is a breed of mouse found in the Sunken City. It is known to drop Damaged Coral Fragments and Sand Dollars as loot. Hidden among the coral, this mouse preys upon those that wander a little too close. Using her beauty along with her hypnotic dance, she sways the coral around her in an effort to lull and attract her unsuspecting victims. The Coral Mouse has no specific preference for any kind of cheese. The Coral Mouse is susceptible only to Hydro weapons. It can be found in the Coral Garden and Coral Reef zones while on a Dive in the Sunken City. The Coral Mouse drops the Coral Egg during the annual Spring Egg Hunt. 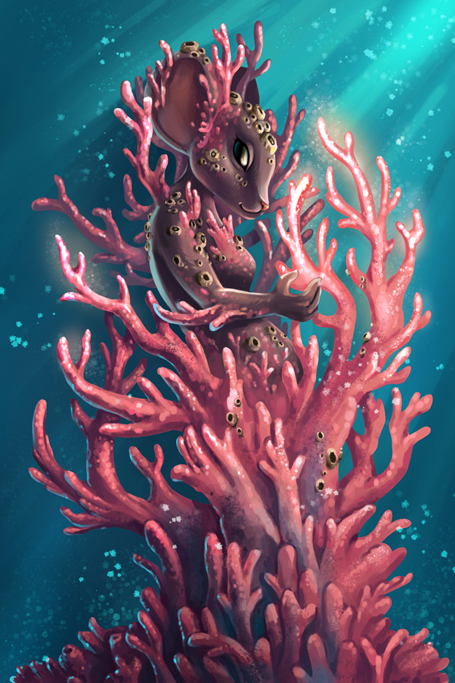 The Coral Mouse was released 2 July 2014 as part of the Sunken City content. This page was last edited on 27 May 2017, at 01:39.